It’s snowing and -11C (-17C wind chill) after a week of -30C. Practically balmy out there, I suppose. Still, the winter chill is so embedded in our damp southern Ontario climate right now it goes straight through you. With Bear in convalescence and me his chief nurse I don’t really have the luxury of going anywhere warm for an extended period of time. 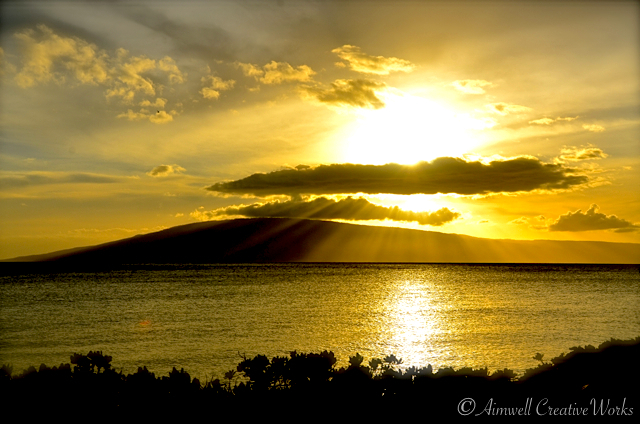 So I’ll resign myself to basking in the captured glow of the setting Maui sun and the warm memories that brings. Spring is only four weeks away. Culled from my WP archives. 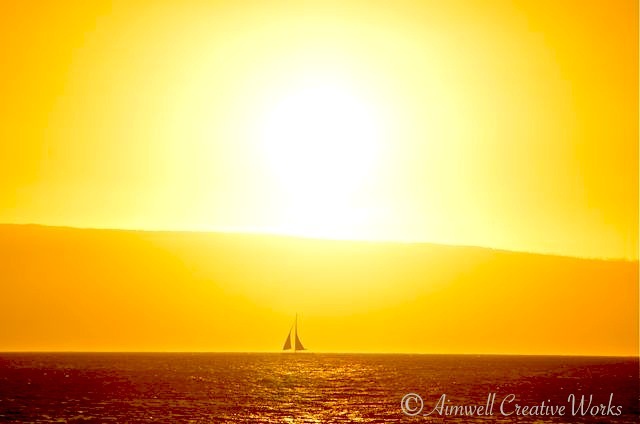 A warm weather memory from Hawaii. It’s so darn cold in Southern Ontario these days. I never get tired of sunsets. Each is its own work of art. I gaze through our bowed kitchen window and into the back garden. A thick layer of snow which, as you may recall I was longing for, coats the frozen ground and smothers the big, sleeping boulder that in the summer is my tranquil bubble rock. My feet, bare upon the cool ceramic floor, sense the frigid outdoor temps, and in my ears ring the atonal chords of dancing chimes as they gingerly perform their pas de deux at icy, Winter’s hand. How I long for the bright sunshine and warm breezes of Hawaii! 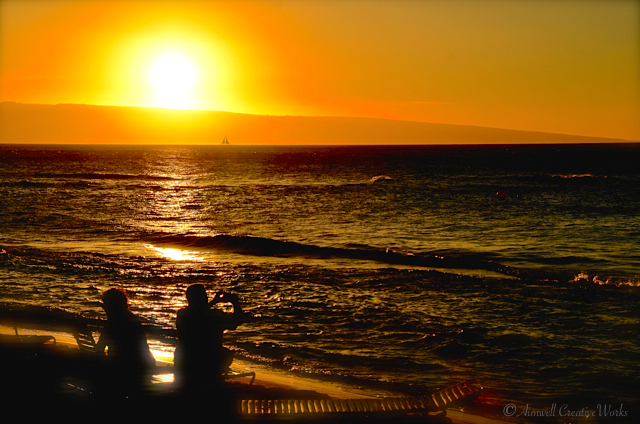 Alas, for now I shall content myself with the memory of a golden sunset one delightful November evening as observed from the shore of Kaanapali.